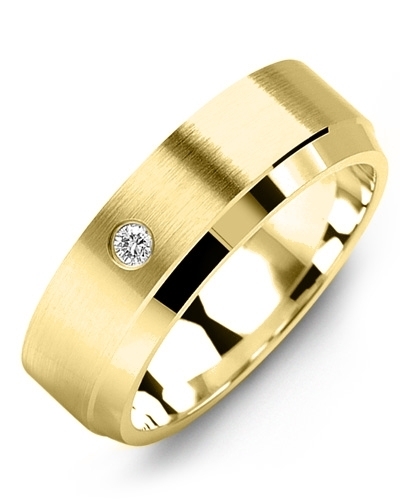 MRP - Vertical Accents Brush Gold Diamond Wedding Ring Update your jewellery collection with this Vertical Accents Brush Gold Diamond Wedding Ring and sparkle on your wedding day, and every day thereafter. 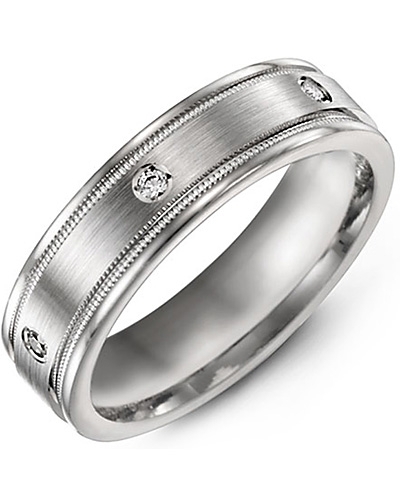 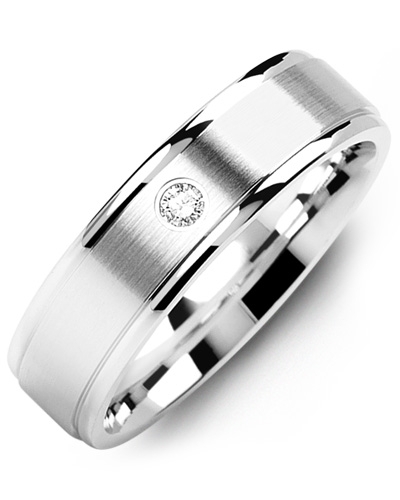 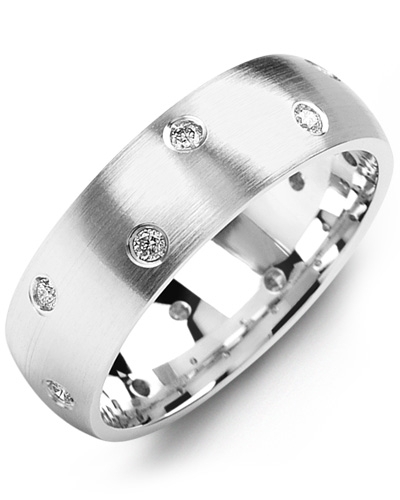 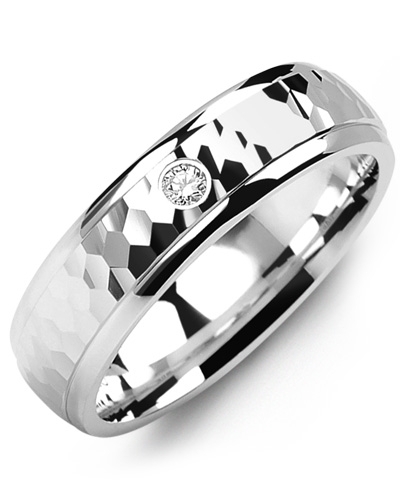 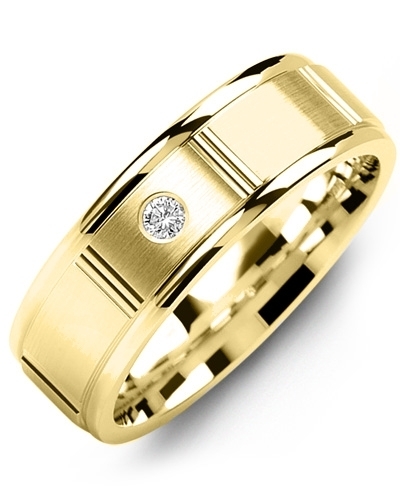 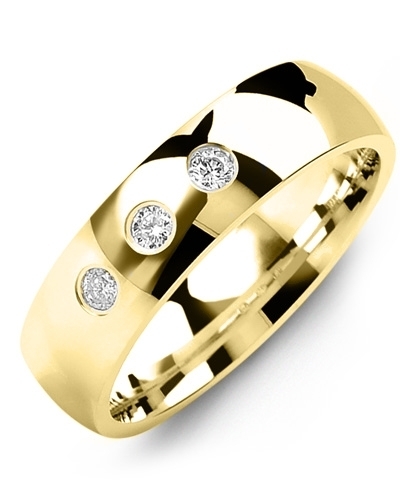 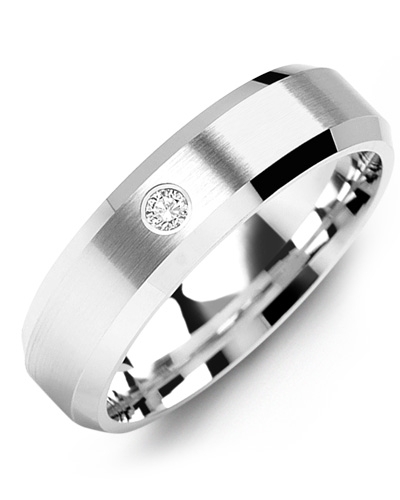 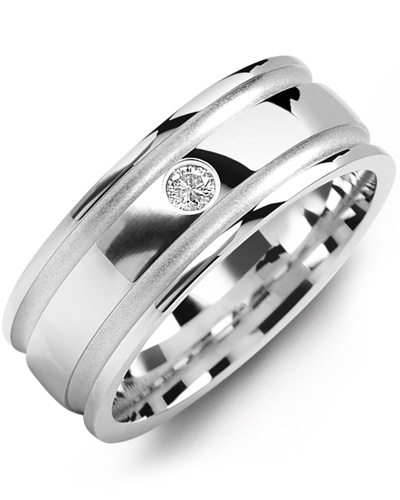 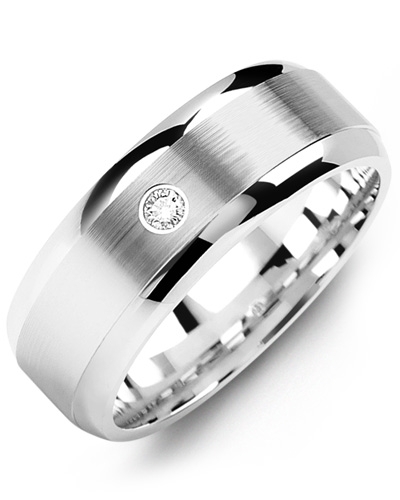 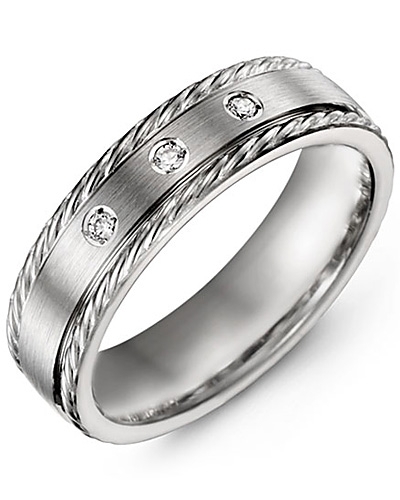 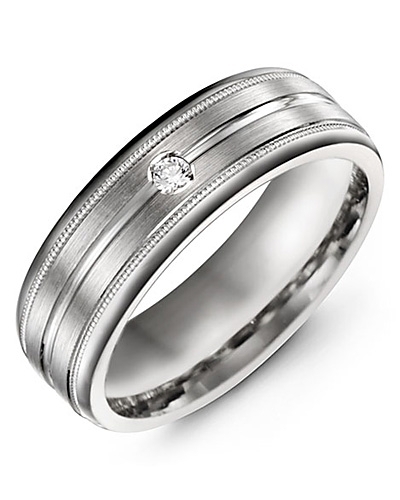 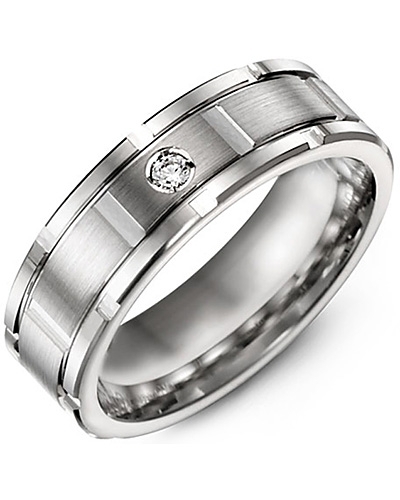 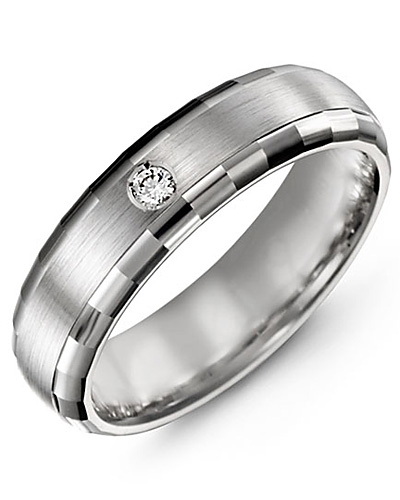 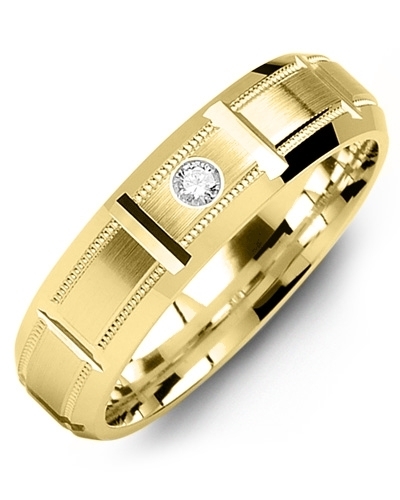 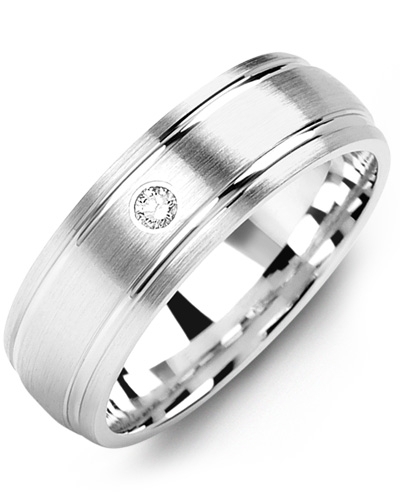 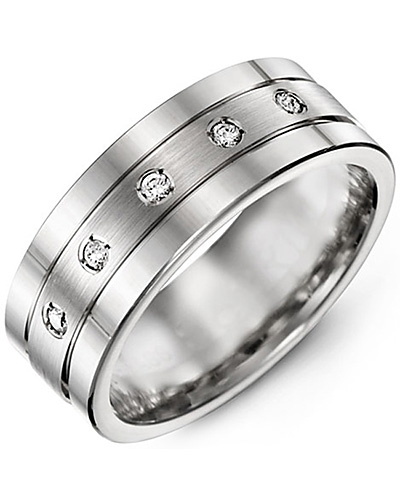 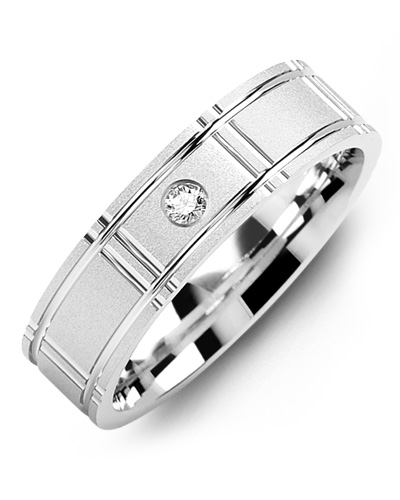 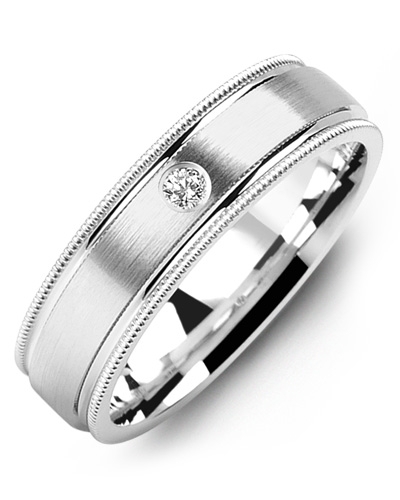 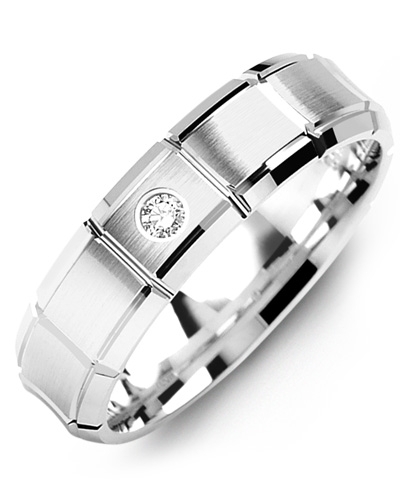 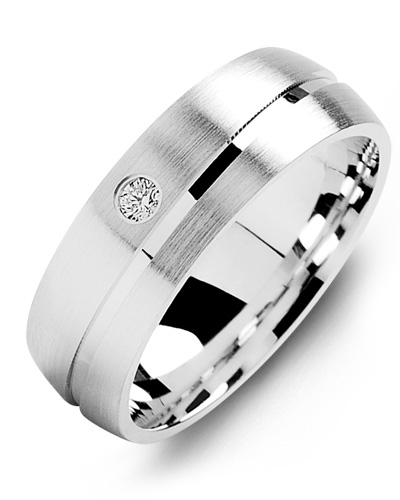 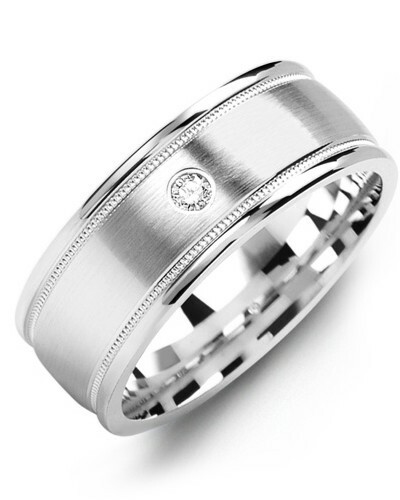 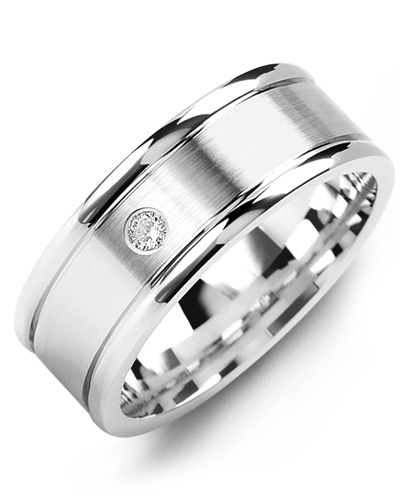 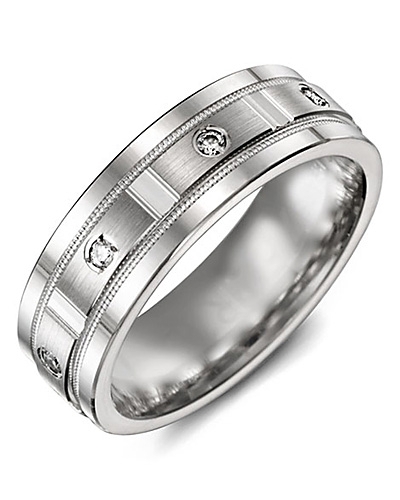 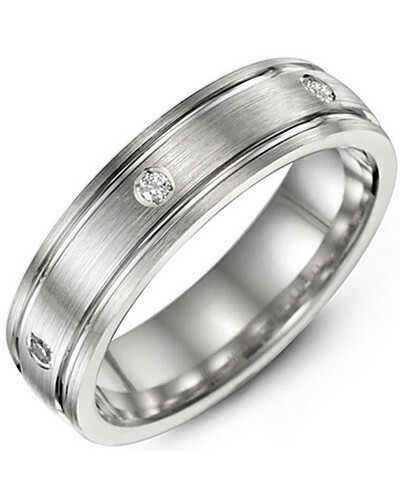 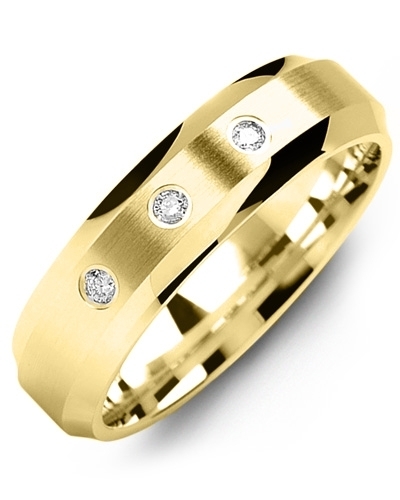 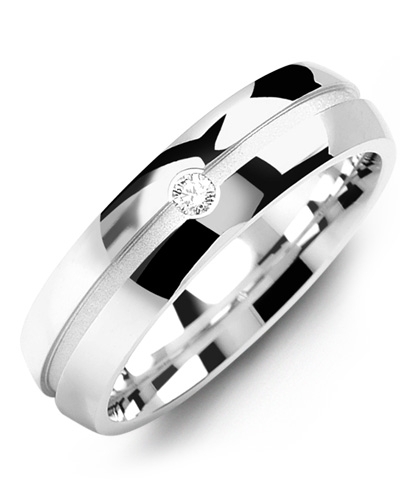 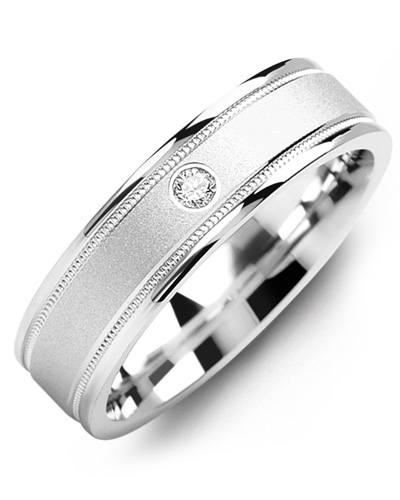 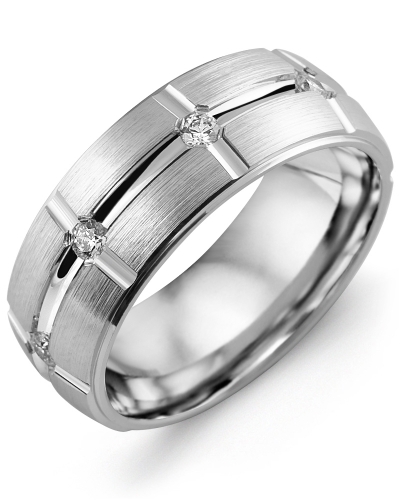 Offered in white gold, yellow gold, and 10kt, 14kt, and 18kt options, it features high polish edges, a brushed inlay with vertical accents, and a single gypsy set 0.05ct diamond for just a hint of sophisticated sparkle. 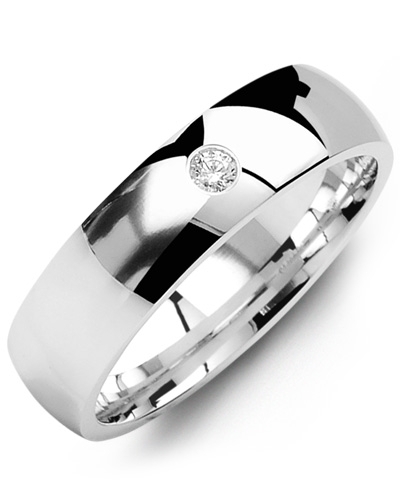 Varying widths available to complement both feminine and masculine hands. 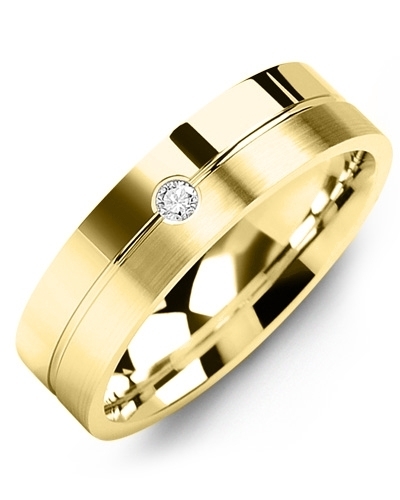 Update your jewellery collection with this Vertical Accents Brush Gold Diamond Wedding Ring and sparkle on your wedding day, and every day thereafter. 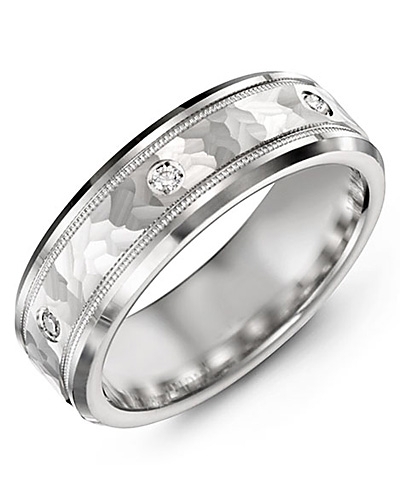 Offered in white gold, yellow gold, and 10kt, 14kt, and 18kt options, it features high polish edges, a brushed inlay with vertical accents, and a single gypsy set 0.05ct diamond for just a hint of sophisticated sparkle. 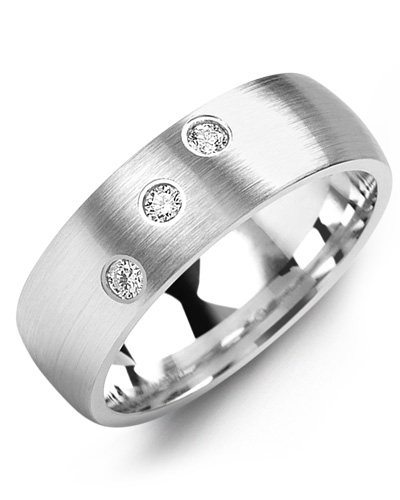 Varying widths available to complement both feminine and masculine hands.